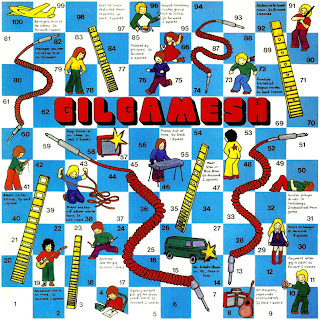 Esoteric’s 2011 remastered reissue of Gilgamesh’s 1975 eponymous debut recording provides a 21st century opportunity to investigate a fine group that emerged during the waning days of Britain’s Canterbury scene. The album by keyboardist Alan Gowen’s quartet -- also featuring guitarist Phil Lee, bassist Jeff Clyne, and drummer Mike Travis in this incarnation -- was issued by Virgin Records’ budget-line Caroline imprint. By the mid-‘70s, Virgin’s support for bands of this ilk was beginning to wane, with punk and new wave soon ruling the day. Arriving late in the game, Gowen and company sounded most similar to Canterbury supergroup Hatfield and the North, and in fact Hatfields keyboardist Dave Stewart co-produced the album. 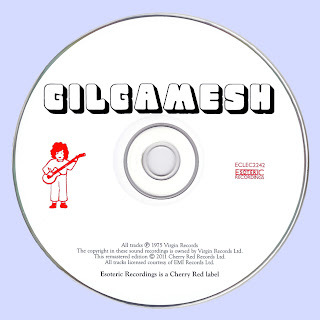 Gilgamesh had clearly mastered the Hatfields’ suites’n’segues approach to Canterbury-style complexity while sidestepping blatant imitation -- for the most part. 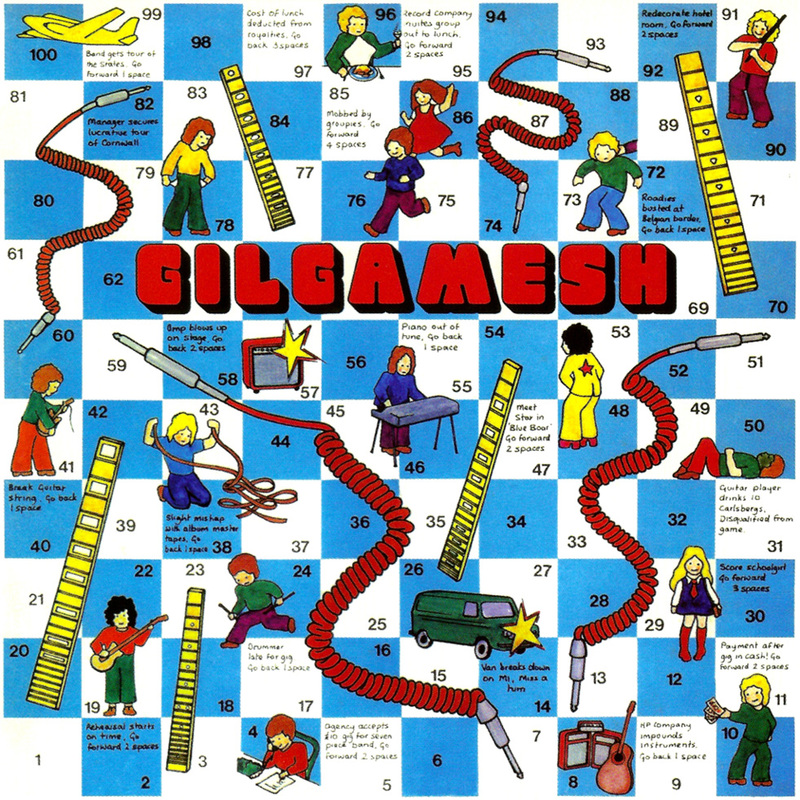 Certainly from the first notes of opening three-part suite “One End More/Phil’s Little Dance/Worlds of Zin,” Gilgamesh prove capable of nimble thematic lines and knotty stops and starts, while admirably refraining from pyrotechnics. The suite's kitchen-sink approach makes room for King Crimson-ish Mellotron and grand piano flourishes (recalling Keith Tippett on Lizard) as well as Stevie Wonder-ish funk-lite clavinet, but the uniform production smooths out such quirky juxtapositions. “Lady and Friend” provides a true jolt, with Clyne’s lullaby-like bass melody, seasoned by light electric piano/guitar accompaniment, preceded by a brief blast of full-band unison riffing seemingly designed as a rude interruption. Just over a minute and a half long, Gowen’s “Arriving Twice” is a wonderful interlude, with acoustic guitar, electric piano, and synth sketching a melody that draws from jazz, folk, and classical but ultimately transcends such labels; it’s the perfect segue into “Island of Rhodes,” the first portion of the album’s next three-part suite, with the track’s namesake keyboard floating in nocturnal ambience a la In a Silent Way before the introduction of a dreamily beautiful theme accompanied by the subtlest percussive embellishments from Travis. The suite ultimately offers its own share of unpredictable twists, ending with a driving vamp as guitarist Lee cuts loose, but the production again manages to avoid shattering the prevailing vibe. The album does court Hatfields imitation here and there -- “Jamo and Other Boating Disasters” features Amanda Parsons’ soprano vocals in pure Northettes style during an interlude that clearly strives for the drama of The Rotters’ Club’s “Mumps” coda, while elsewhere Lee employs a decidedly Phil Miller-esque electric guitar tone. But Gowen himself avoids obvious Canterbury devices, eschewing fuzz organ solos during the music’s most animated moments in favor of round-toned synth voicings that snake and float through rather than pierce the air. 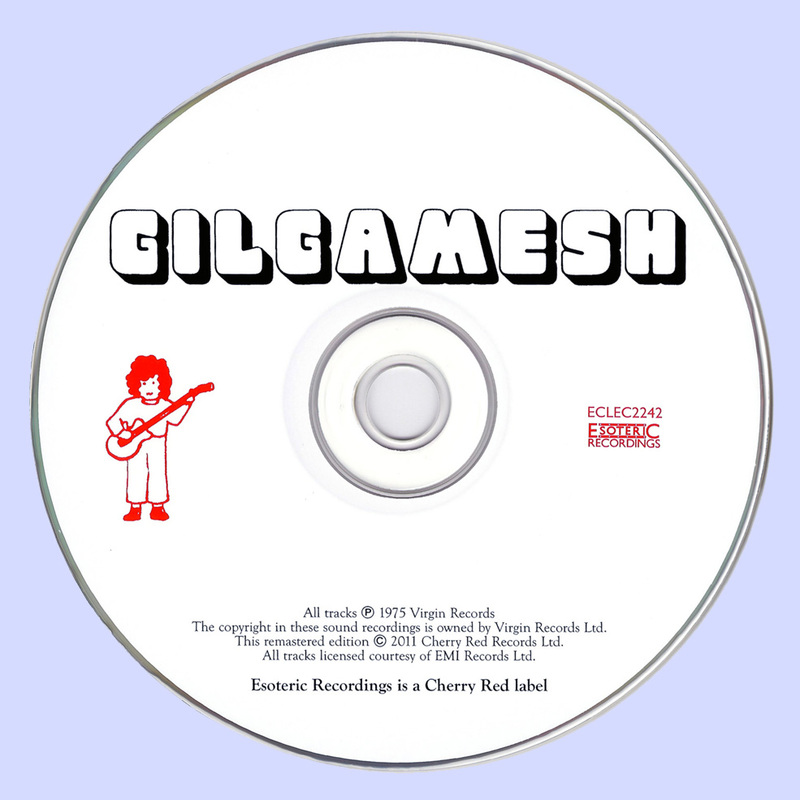 Gilgamesh’s studio-based forays may have tamped down the band’s woollier aspects revealed by the Cuneiform archival recording Arriving Twice issued long after Gowen’s sadly premature death, but in retrospect, the keyboardist and his bandmates were charting their own inimitable direction, too briefly explored but holding up admirably in recordings such as this, decades after the fact.